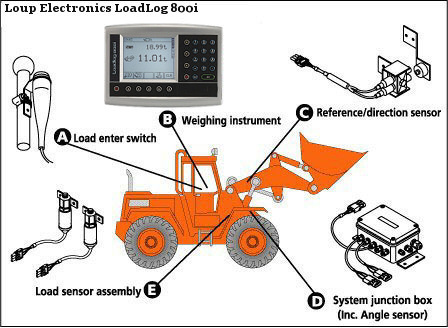 The Loadlog 800i is a new generation on-board weighing system for wheel loaders with an intuitive and user-friendly graphical display, engineered throughout with the latest technology. The instrument provides a highly accurate weight measurement system and is designed for use in static or dynamic weighing modes. The Loadlog 800 now comes with an additional batch weighing facility as standard. Added features include optional printer, telemetry and more. Click here to learn more. Provides an operational and management record. Eliminates return trips from the scale of over and underloaded trucks. Reduces visits to the weigh scale. Ensures trucks are correctly loaded the first time. 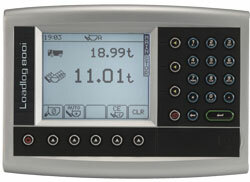 Weighing ‘on the lift’ speeds operation, enabling your operators to load more trucks per shift.